In 1972, David joined his family’s mechanical contracting firm, McKenney’s Inc., as Vice President. He became President and CEO in 1973 and led the company for 36 years, presiding over its growth from $5 million and 100 employees to over $200 million and 800 employees. Eventually, McKenney’s became one of the country’s largest privately held mechanical contracting and engineering firms. Before assuming leadership at McKenney’s, David earned a BS in Physics and a BIE degree from Georgia Tech. He also served for three years in the US Marine Corps, worked as a sales engineer and account executive for the Trane Company, and earned his MBA from Georgia State University. During his career in the mechanical contracting industry, David was a registered professional engineer and licensed HVAC contractor in four states. McKenney’s has been recognized as one of the top 20 best places to work in Atlanta among mid-sized companies. David has served as President of the Georgia Tech Alumni Association. He is a Member of the Board of Georgia Tech Facilities Corporation and a Trustee Emeritus of the Georgia Tech Foundation. 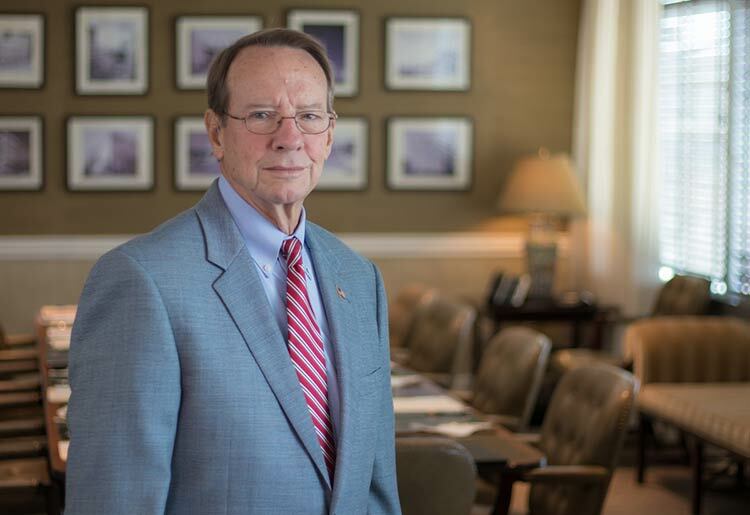 He has served on the board of the Bobby Dodd Institute for over 20 years and as a trustee of two Taft-Hartley pension funds for over 30 years. He and his wife, Sarah, have three grown children and four grandchildren. They live in the Atlanta area and enjoy spending time on Lake Chatuge in Hiawassee, Georgia. Begin a conversation with TUFF. © 2019 The University Financing Foundation.